Owing to the rich industrial experience and expertise in this domain, we are engaged in providing superb quality range of Tamping Machine to our customers. 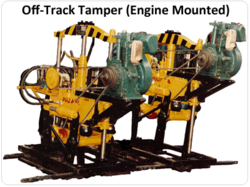 This product is highly demanded for packing the path weight under railway tracks to make the tracks long lasting. Beside this, Tamping Machine is very accurate and required low maintenance. 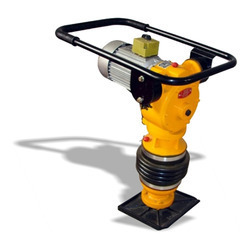 We are offering of Battering Tamping Rammer. We are leading supplier of Tamper. Jumping stroke : 8.5 c.